A comprehensive photo history of a type that saw limited service world wide and even more limited service in the Polish Navy. A great read for those interested in Russian and Warsaw Pact Aviation. A great book not only for those interested in the Polish Air Force or modern naval helicopters thanks to the wide selection of detail walk around style photographs. Unfortunately from a modelling perspective it seems that no kit of this subject has been issued. 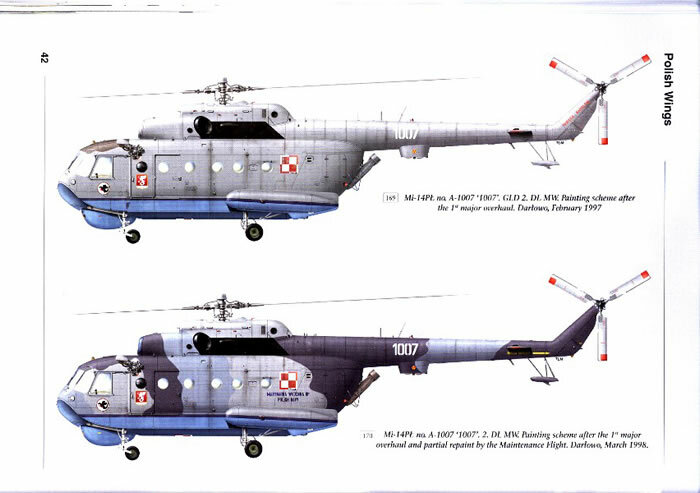 The Mi-14, NATO reporting name Haze, was the product of Soviet recognition of a lack of a useful ASW helicopter in the order of battle. 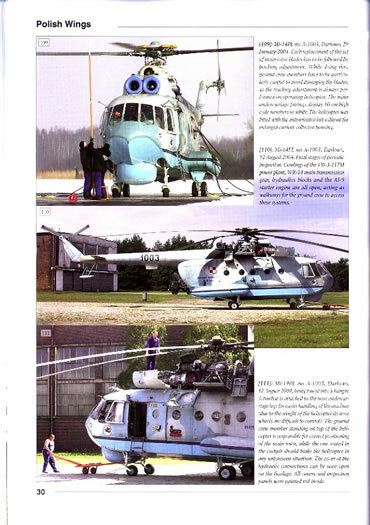 Taking the operational concept of the Sea King, the Mi-8 transport helicopter was adapted to the role, with a radar, avionics, boat hull and floatation devices fitted. 273 Haze aircraft were produced between 1973 and 1986. Poland first became interested in the mid to late 1970s, taking delivery of their first airframes in 1981. Altogether 17 airframes entered Polish Navy Service made up of 12 ASW variants and 5 SAR variants. 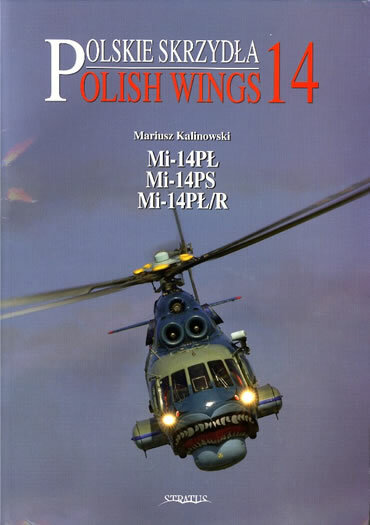 This book volumes the now customary format of the Polish Wings Series produced by Stratus Books and Mushroom Models Publications. The first 14 pages give a brief history of the Haze, followed by a summary of its Polish Service and a discussion of camouflage and markings. Here it is worth noting that for such a small fleet they wear a wide variety of schemes and individual markings, with no less than 15 discreet schemes and more than 37 individual symbols or artwork applied. 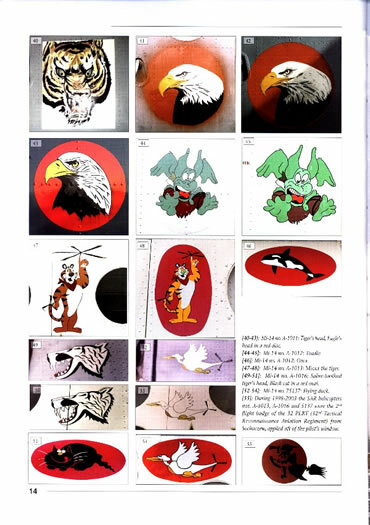 After jumping this hurdle then each airframe is documented at various stages in its service life, with side profiles supported by a range of colour and black and white photographs. 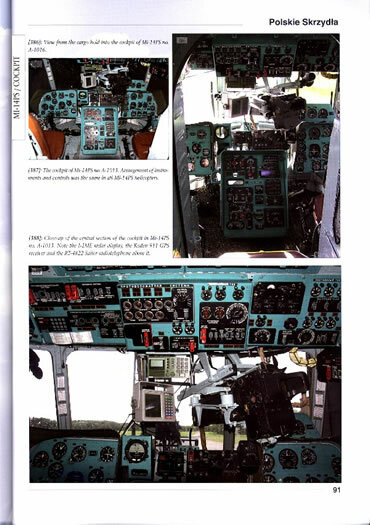 To conclude the authors provide eight pages of walk-around and detail photographs. These will be very useful if a scale model of the Mi-14 is released. Overall this book may have limited appeal to most but it is a useful reference volume on the Mi-14 and may come into its own if a company like Zvedza, Trumpeter or Hobbyboss discovers the Haze (I had a vague recollection of a 1/72 Mi-14 from Zvedza but cannot find any reference to it on modelling sites). In the meantime for those of us who are interested in aviation history, and especially the other side of the Iron Curtin, this book should find space on the bookshelf.